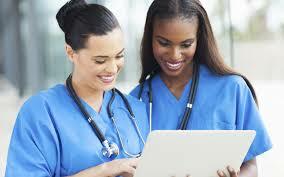 The value of a nurse mentorship program has been well documented in the nursing profession. Sparrow Solutions Group understands both the importance and challenges of onboarding and integrating a nurse into the Pregnancy Medical Clinic setting successfully. Nurses have told us they feel isolated, inexperienced, unprepared, and overwhelmed in this new clinical setting. Assuming the nurse will train herself, research her new professional responsibilities, understand her role in the greater perinatal nursing setting, and collaborate with others to provide quality patient care assumes much risk for an organization. The results may include reduced job satisfaction, decreased nurse retention, and decreased quality of patient care. We, at Sparrow, are enthusiastic about the nurse mentorship program because the program offers solutions to issues nurses, Executive Directors, and Board members have discussed with us from the Pregnancy Medical Clinical setting for years.